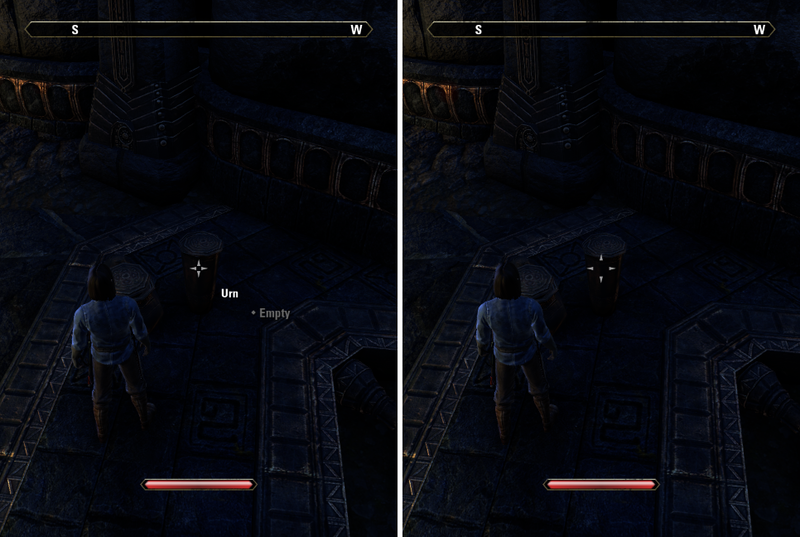 This stops empty containers from displaying text and allows you to blacklist NPCs and interactable objects. It was requested by Gamer1986PAN. Automatically removes the interact option from empty containers. E.g you loot an urn, the empty urn will no longer tell you it is empty. Blacklist NPCs that you frequently accidentally talk to while trying to do something or simply dislike. 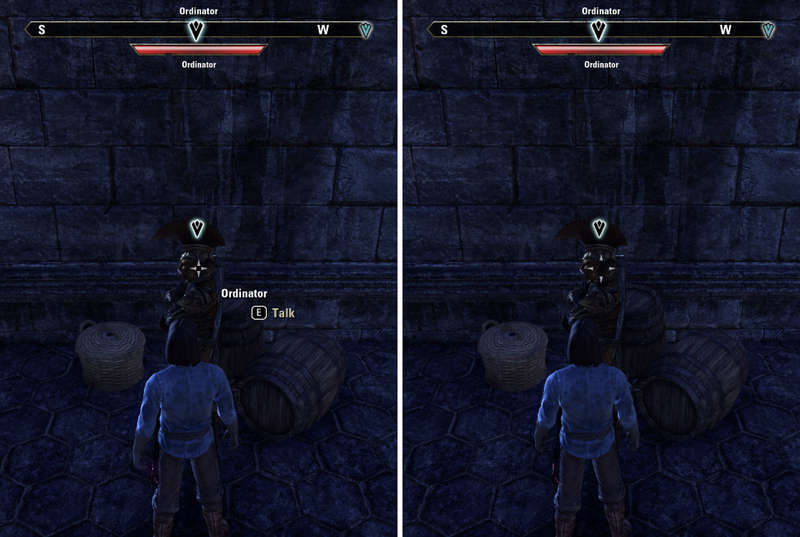 Blacklist interactable objects (such as barrels) that you don't wish to interact with while looting other things. Blacklisting interactable thievable objects without blacklisting allowed objects. 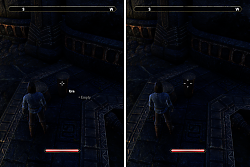 There's a keybind for toggling the whole thing on/off as well as a second for toggling the targeted NPC/object. Pressing the second keybind will allow toggling of blacklisting a character/object without needing to use the commands. It will only blacklist the legality type of the container at hand (so if you want to blacklist lootable sacks and thievable sacks, you'll need to interact with both). Allows blacklisting of NPCs. Use the keybind or use "/nointeract character_name" to blacklist. For containers only: you can also block stealing from containers versus legal looting via "/nointeract container_name (theft)"
This allows you to re-enable interaction with an NPC: uses the same keybind as No Interact or use "/yesinteract character_name"
The "/listinteract" command will show all of the NPCs you've currently blocked. Allows disabling the blacklist (except for the empty containers). Use the keybind or "/toggleinteract"
You could always ask me if need be, but the more on demand option is /nihelp. The command will return usage instructions for the aforementioned commands. Version 1.15 - Fixed blacklisted interaction issue. *De-synced settings version from main version. Version 1.12 - Added differentiating between criminal and non-criminal containers. I sometimes accidentally sit down on seats when trying to interact with a sitting NPC. Not anymore! The No Interact add on has made my accidental sitting a thing of the past - thank you! Re: Any chance for an UPDATE? I'm very busy and not currently adding new features just for the fun of it. If anyone else with more time wants to do so, feel free, but I'm satisfied with how it is currently. Could you give me a location of something that says "sit"? All of the benches I come across say "seat"
Just installed this but it doesn't seam to do anything. I got it because I want to disable all "Use" interactions with chairs, benches, etc. But on mouse over they still say "Use"
Went to look at Settings > Addons but there are none. Edit: Correction in activate interaction. Last edited by GizmoDuck : 03/26/18 at 02:48 PM. The interaction function wasn't receiving all of the data it needed to make the call. It should be fixed now. It's most likely overwriting a hook and there's nothing I can do about that. So, I turned off every single add-on other than No Interact, exited the game, deleted No Interact's saved variables, then uninstalled and installed it again for good measure. (theft) blacklisting still consistently does not work. Tried the chat command and the hotkey. There is a shield standing next to a vendor which I can steal. Scenario one: If I use /nointeract shield (theft) = its name popup disappears, but if I press E I still pick it up and get no chat notification. Scenario two: If I use /nointeract shield = I cannot pick it up, I get a chat notification, all works as intended. But as expected, I can't pick up any non-owned shields either, since ALL shields are now blacklisted, not just the stealable ones. Actually, same goes for containers. No (theft) = interaction blocked; (theft) = no name, but can still loot. I can record a video if you like. Like I said, this is with zero add-ons active. I just tested it and it's working perfectly fine for me. Did you use the keybind or the command line to blacklist? If the latter: you may have mistyped. If the former: you may have an addon interefering. I tried on 4 different items without issue. I tried both the keybind and the slash command on several different items, carefully checking my spelling. As for mod conflict - that might actually be it. I'm using MasterThief by Adalan, and I think the issue first appeared around the time that one got updated. I will check once I get home and let you know - in case it's indeed the culprit, any chance for a compatibility patch? Ever since a few updates ago, the /nointeract itemname (theft) doesn't work properly. The item name and the red "Steal" prompt disappear, but if I press E, my character still picks up the item and there is no chat notification, as if it wasn't blacklisted at all. 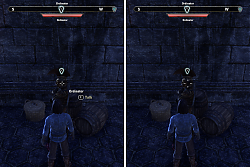 I've tested with several items - mainly stuff that's lying next to guild traders and is easy to pick up by accident - armor pieces, materials etc. If it's stealable and blacklisted with (theft), the blacklisting doesn't work. If it's non-stealable and is blacklisted w/o (theft), the blacklisting works. That sort of targeting uses a completely different methodology than the rest of the addon and I don't know if I could reliably block it for anyone that uses addons with custom target UIs. It also doesn't appear to be as simple as checking for a type, because they all show up as NPCs and every critter name would have to be checked against.